While still the largest American Legion group in the state, Bourque-Lanigan American Legion Post 5 has a hard time getting younger members to remain active, attend meetings and help with fundraising events such as the one being hosted Sunday in Vassalboro, featuring an Elvis Presley tribute artist. Like many other veterans organizations, Bourque-Lanigan American Legion Post 5, of Waterville, struggles to get younger members to be active, attend meetings and help with fundraising events to benefit the post. 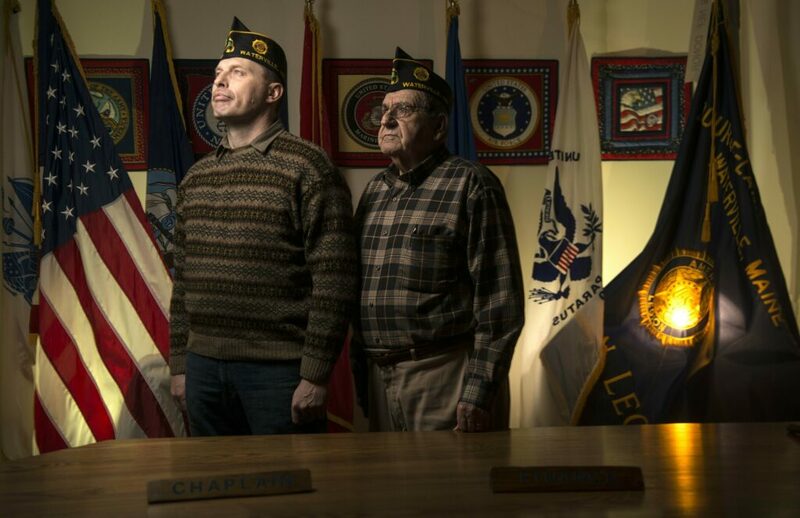 While still the largest Legion post in Maine in terms of paid memberships — the post has 444 members — only about 45 take part in activities, spend time at the post at 120 Dummond Ave., participate at meetings and come out to socialize with fellow veterans. The Legion has been reaching out to help create awareness about what it does and continues to hold fundraisers that allow it to continue programs that serve veterans and maintain its post building. One such fundraiser, featuring Elvis Presley tribute artist Don Boudreau, of Sidney, will be held from 2 p.m. to 4 p.m. Sunday at the St. Bridget Center at 864 Main St. in Vassalboro. Tickets cost $18 at the door or $15 in advance and may be purchased by calling Bailey at 313-8865 or Legion chaplain Pearley Lachance at 873-0358. Bailey, 49, is a U.S. Army veteran who serves in the Maine Army National Guard and did tours in Iraq and Afghanistan. He took various positions at the Legion, including as second vice commander and a member of the executive committee, before taking his current post about a year ago. He joined in 2007 and wanted to learn the works of the Legion before becoming commander. His son, Nate Bailey, also is a member. In speaking with other posts in the district, Bailey found that many are experiencing dwindling numbers of active members, which leads to burnout in the group of core people who continually are active and helping out. The Legion engages in many activities, including annually hosting Boys State at Thomas College in Waterville, where boys from all over Maine are housed and fed with Legion funds and taught civics and local, state and national government. They learn how elections work, are appointed to committees and learn about democracy, according to Bailey. The Legion auxiliaries do a similar program for girls. The Legion also maintains scholarship programs for high school seniors heading to college, usually students who are dependents or children of veterans, and hosts an oratorical event about the U.S. Constitution. It has a veterans service officer at the post who is knowledgeable about paperwork, filing, timelines and medical documents the U.S. Department of Veterans Affairs looks for if a veteran thinks he or she has a service-connected disability. That officer helps veterans navigate the process. The officer also provides information about veteran-related issues. The Legion post is open noon to 5 p.m. Monday through Thursday, noon to 7 p.m. Friday and noon to 5 p.m. Saturday. It has a lounge, office and meeting space and an outdoor area with horseshoe pits, picnic tables and grills for cooking. Pearley Lachance, the post’s chaplain, said Friday that he joined the Legion only about five years ago and was humbled by the welcome he received and honored to have been named Legionnaire of the Year this year. He served in the Army Reserve from 1956 to 1962 and did not consider himself in the same league as other veterans who served in Iraq, Afghanistan, Vietnam and other places. “That was a good feeling to be treated in that fashion,” Lachance, 83, said. “In my first year I was chaplain, we lost 40 members, mostly World War II people,” he said, adding that he took part in ceremonies with the Legion commander at the time, honoring the veterans at funerals. “The reward for doing that is, after each ceremony, the family is really appreciative of the recognition that they gave service to this country,” Lachance said. Lachance, who for 10 years has been compiling information about central Mainers who served in World War II, encouraged his son, also Pearley, and daughter Evelyn, both veterans, to join Post 5, though they do not live here. Post meetings are held at 6 p.m. the first and third Monday of every month, and members and their guests are welcome to attend, according to Bailey. Anyone wanting to join the Legion may stop by the Legion or go to its website, wtvllegion.org. Those wanting to donate to the Legion may do so by mail at Bourque-Lanigan Amercian Legion Post 5, 120 Drummond Ave., Waterville, ME 04901. Post 5 gets its funds from member dues, some of which go to the state and national Legion. Funds also are garnered from fundraisers and donations, and people donate time as well. Its members include veterans who live locally and throughout the state and the country, as well as “snow birds” who winter in warmer climates and return in the summer, according to Bailey.